The latest hydration trend is “coconut water.” This is the liquid found in young coconuts, and given that it’s full of sugar (10 grams per 8 ounces) it’s not really technically water. It’s the liquid extract of the seeds of the coconut palm tree. Coconuts are drupes, just like peaches, pistachios, cherries, and mangos. If you squeeze a bunch of cherries you can’t really call that cherry water, but the historic name for coconut juice including the word “water” gives it a clear marketing advantage. 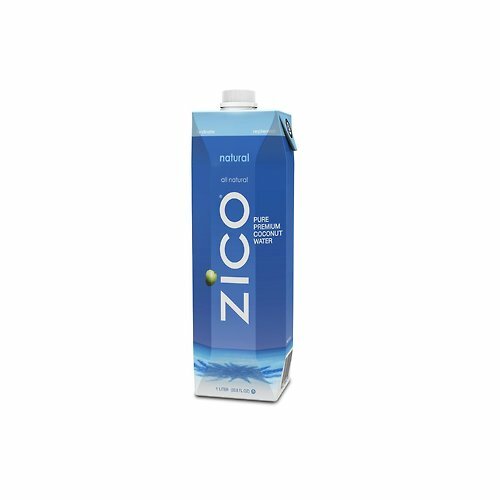 Marketing teams have been working to brand sugar solutions as “water” since the success of Vitamin Water last decade, and Zico Coconut Water is no exception. “It’s got electrolytes!” they say, and again, that’s not technically untrue. It’s just that almost every food also has electrolytes, and so does tap water, and you don’t need extra electrolytes unless you’re sweating so much your clothes are getting wet. And even then, water with a pinch of salt, or water plus a small amount of regular food is cheaper and healthier. Zico Coconut Water costs thirteen cents an ounce, which is $16.64 a gallon, by the way.